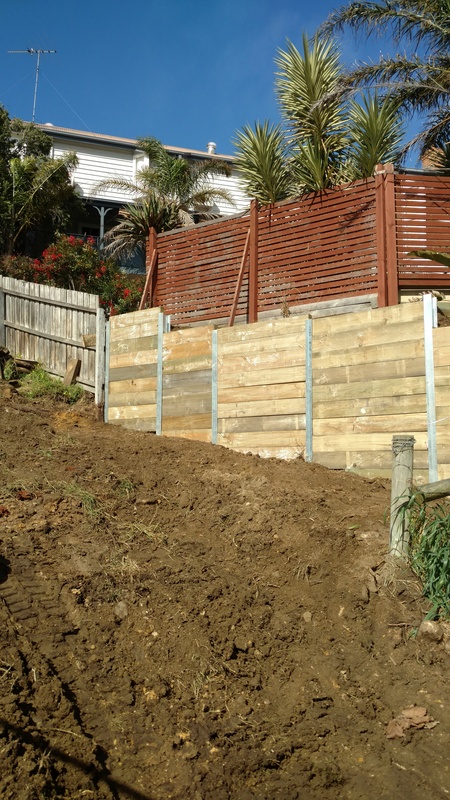 Retaining wall construction is a specialist area, as its main function is to hold back soil to prevent slippage or erosion. 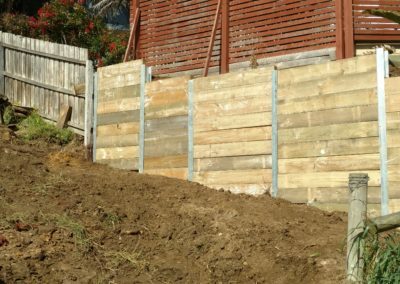 Many home owners and commercial property owners use retaining wall systems to create flat areas on sloping blocks or to help support a boundary fence on a hillside. 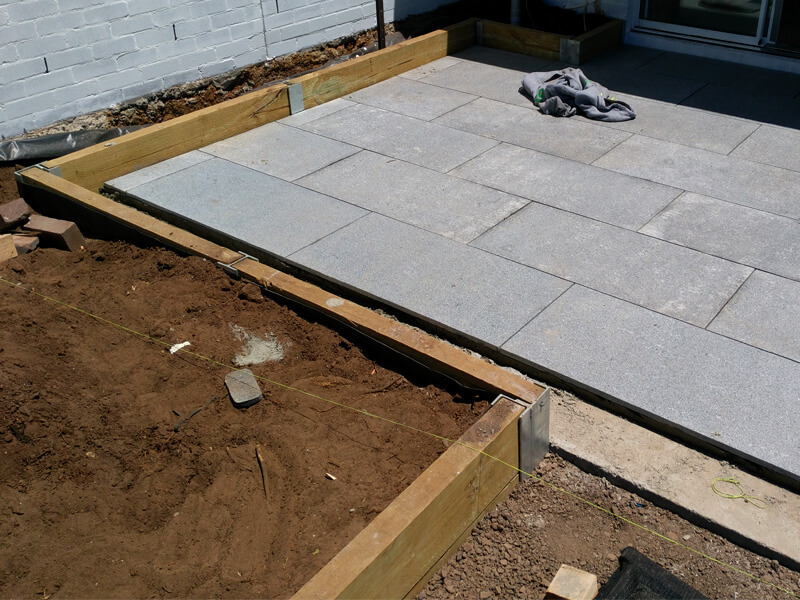 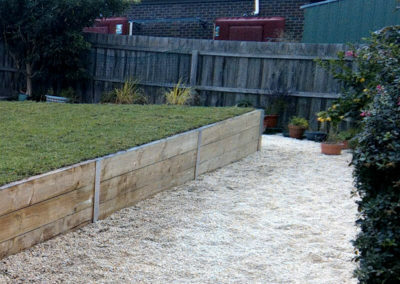 They are also used to create step effects in a garden or to hold back a bank of soil, making the area safe for people to use. 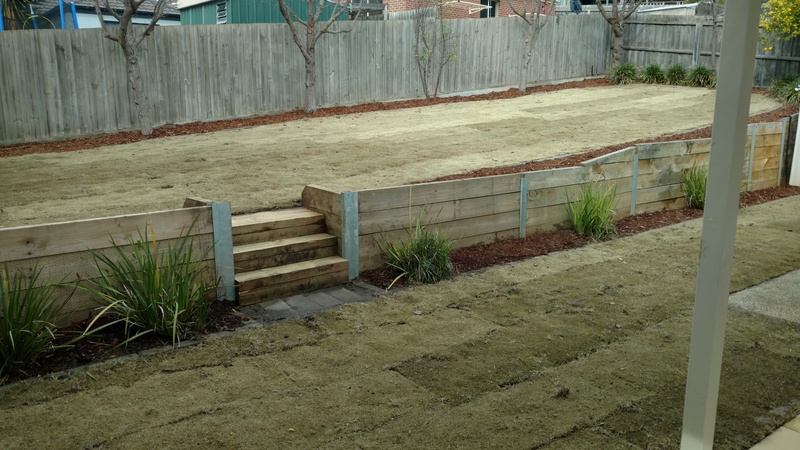 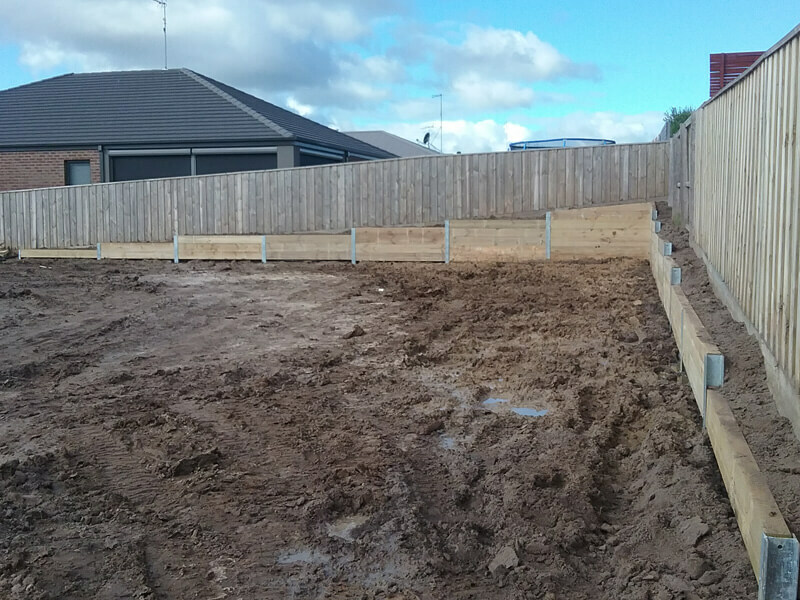 In Geelong, retaining walls can also be very useful when you have drainage problems, as they prevent soil erosion and direct any seepage or runoff away from the problem area. 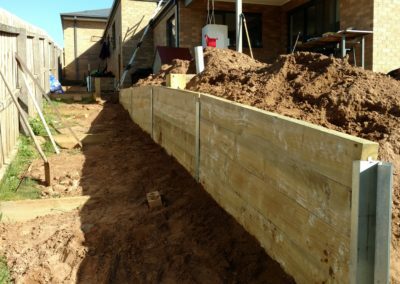 Retaining wall drainage requires specialist knowledge to ensure that the integrity of the wall is not compromised over time. Even though retaining walls are designed to be functional, they can also be designed to complement your home and to be an attractive or distinctive feature in themselves. 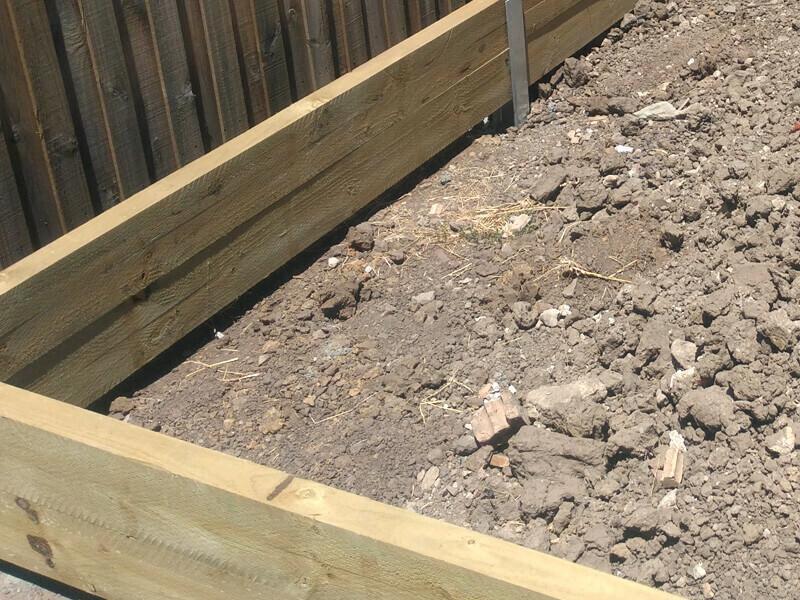 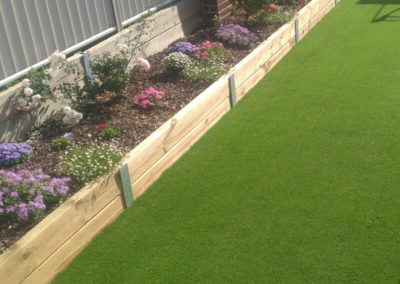 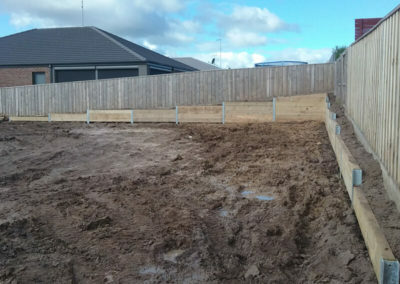 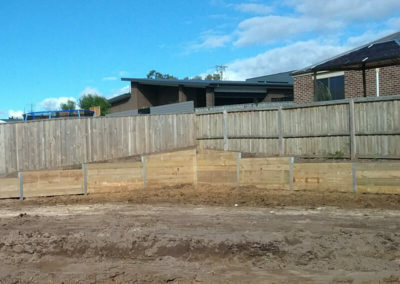 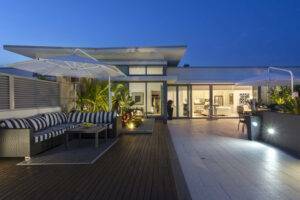 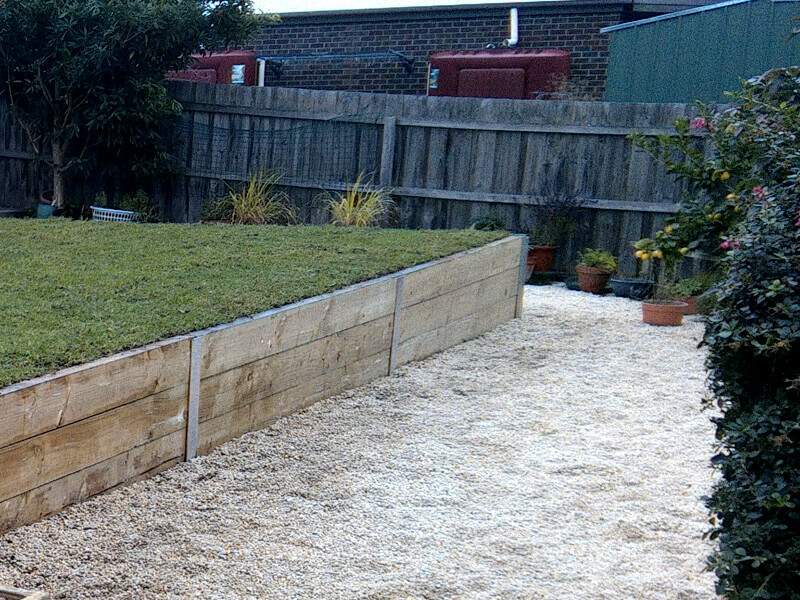 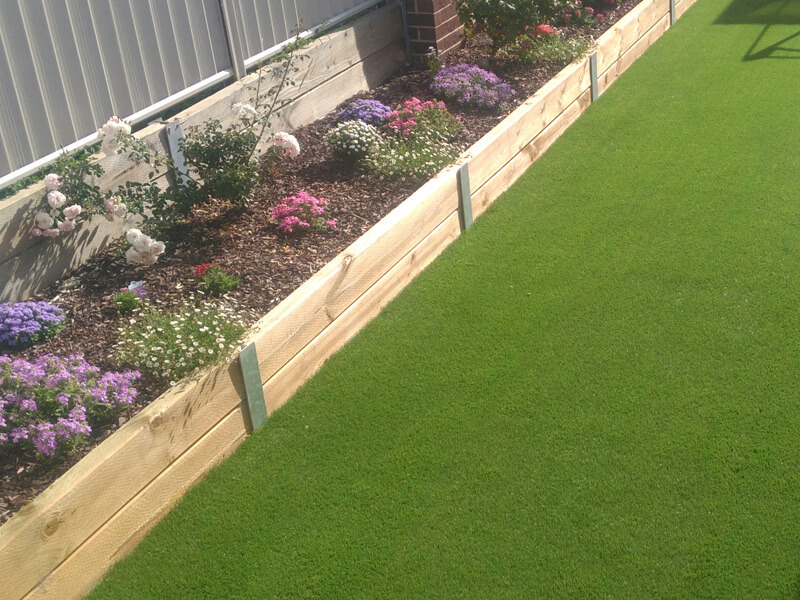 Timber retaining walls are one of the standard materials used in building retaining walls in Geelong. 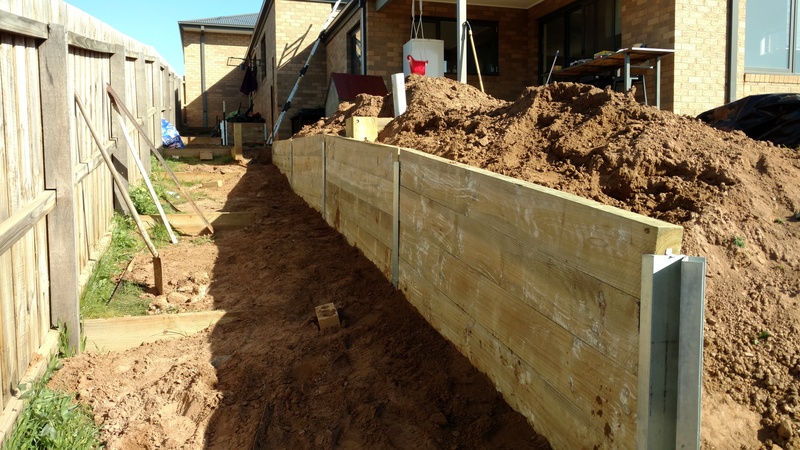 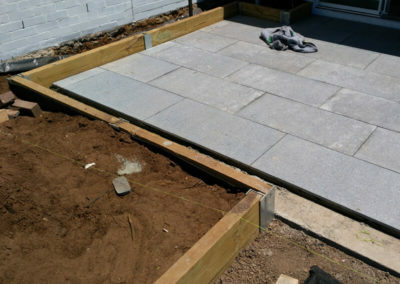 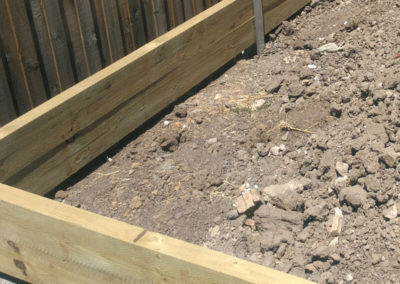 In fact, most home owners have a timber retaining wall design in mind, and asking us about using retaining wall sleepers, before they consider any other material. 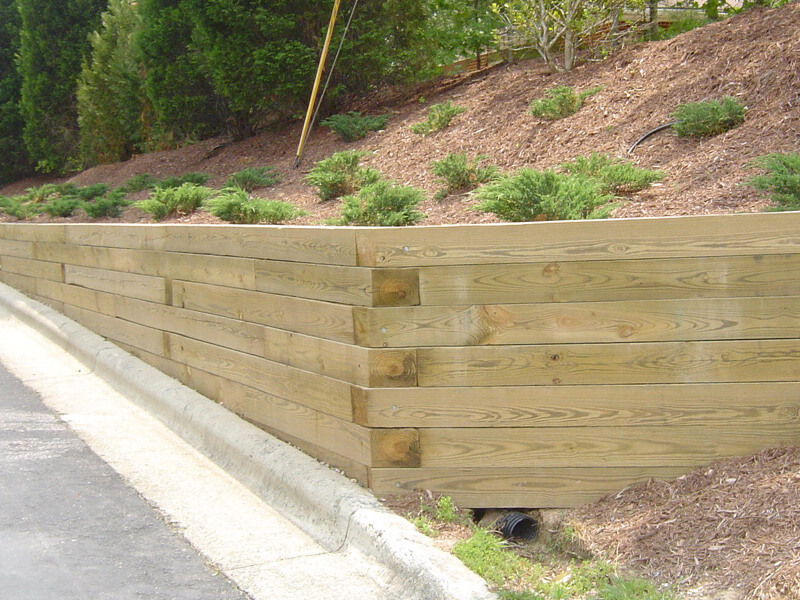 Steel posts and treated pine retaining walls, are another top choice, because your retaining wall is only as good as its upright posts. 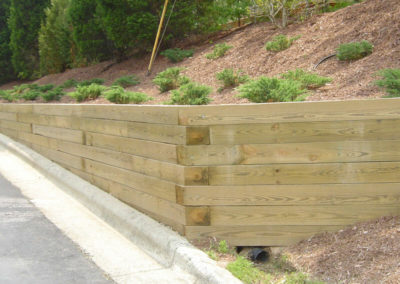 Steel uprights offer more strength than timber and as long as the pine has been treated, this is one of the better retaining wall ideas we have seen. 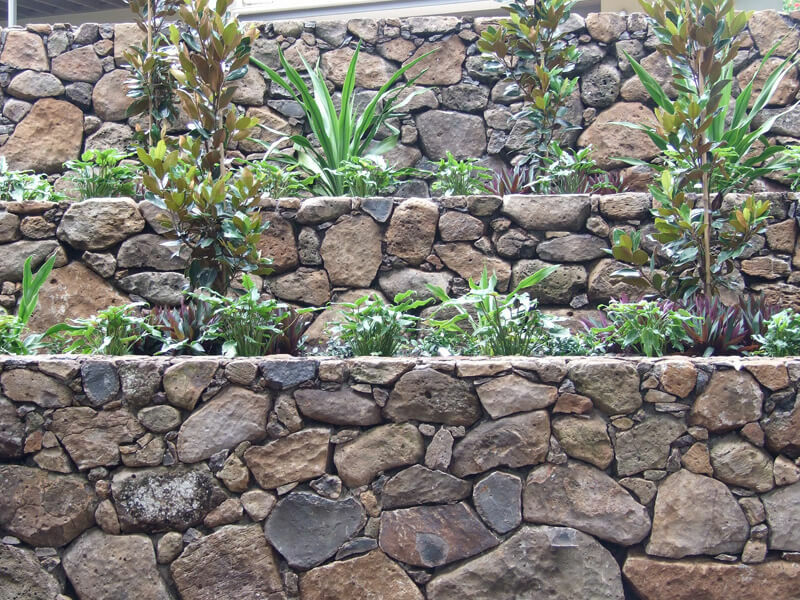 You might not have considered using exposed aggregate concrete for your retaining wall, but it works well when you want to match it to your driveway. 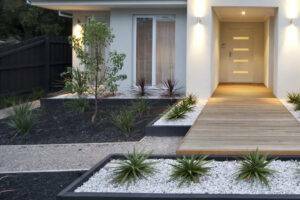 When you use the same materials on the driveway as on the retaining wall, you create a smooth, contemporary finish that is hard to beat. 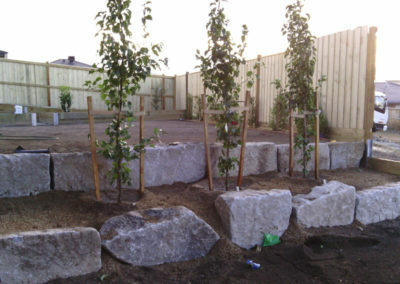 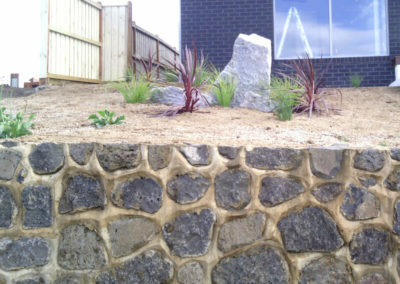 Cladded pavers are another attractive solution for your garden retaining wall. 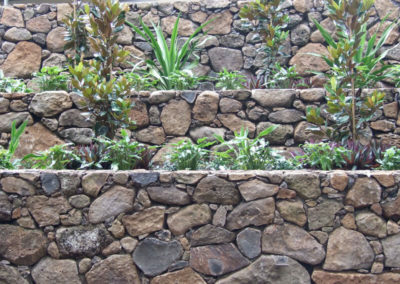 You can update and refresh your old concrete or brick retaining wall and turn it into a design feature, simply by adding cladded pavers – and there are lots of different designs available. 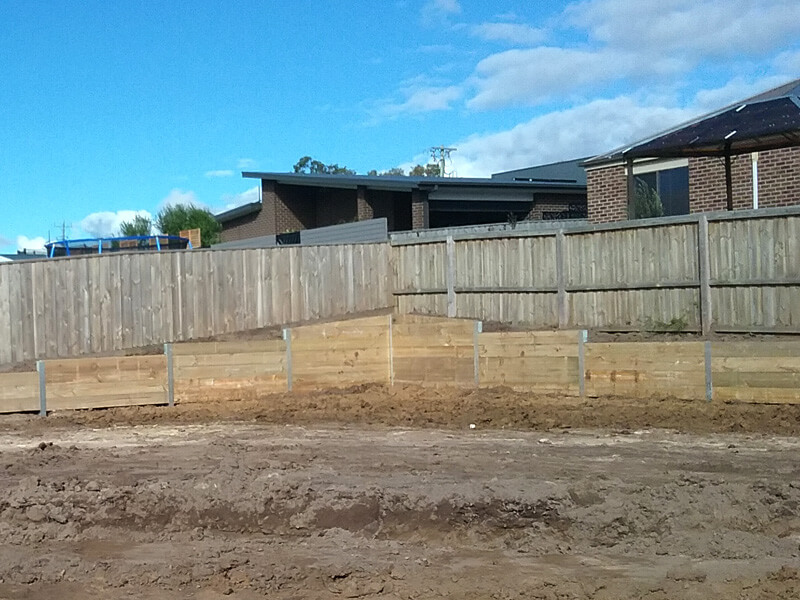 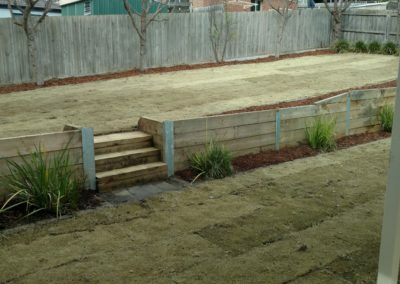 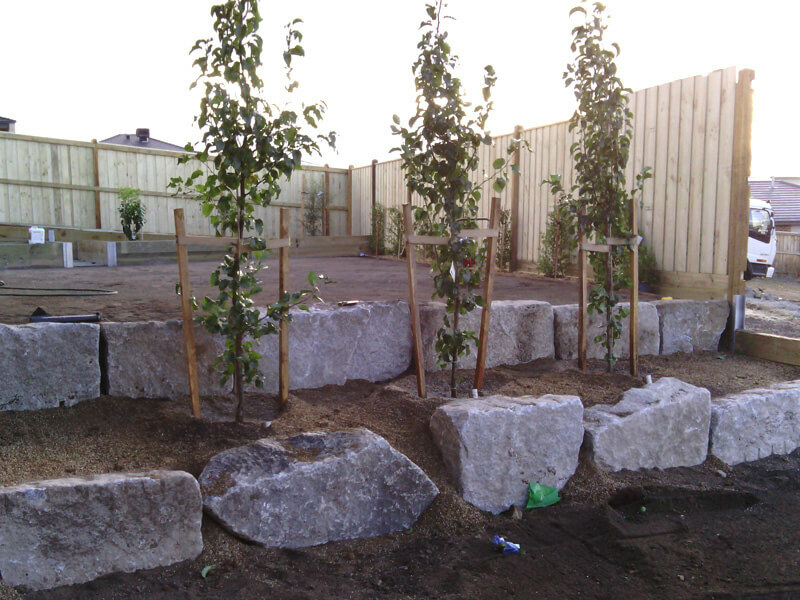 To discuss retaining wall costs and materials for your project in Geelong, call Rigid Landscapes on 0415 345 439.